An "ordinary" wedding can get crazy enough, so can you imagine what happens when otherworldly creatures are involved? 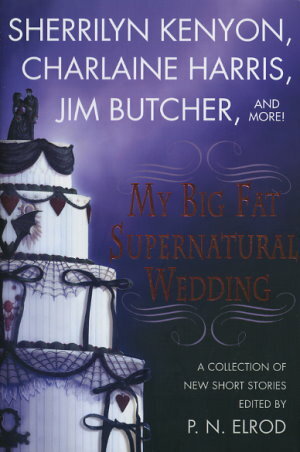 Nine of the hottest authors of paranormal fiction answer that question in this delightful collection of supernatural wedding stories. What's the seating plan when rival clans of werewolves and vampires meet under the same roof? How can a couple in the throes of love overcome traps set by feuding relatives---who are experts at voodoo? Will you have a good marriage if your high-seas wedding is held on a cursed ship? How do you deal with a wedding singer who's just a little too good at impersonating Elvis?